Lie on the floor. Push up the straightened leg over yourself at a right angle to the floor. Rest the other leg on the floor. This is your starting position. 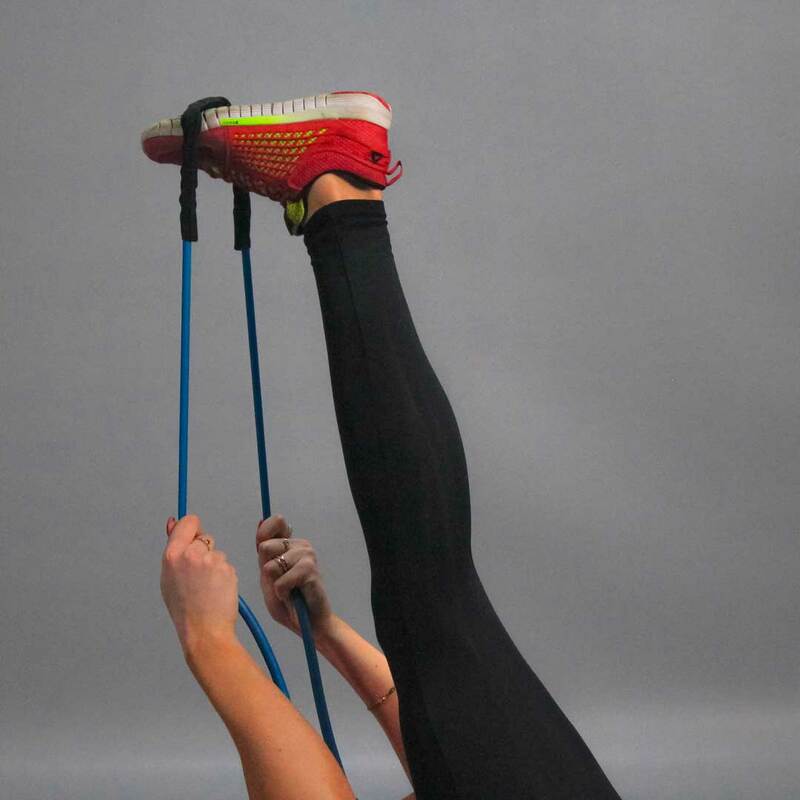 Loop the tube or rope around the top of your foot. Pull the tube, pointing your toes towards yourself. You should feel your calves and hamstrings stretch. Tips: Hold this position for 10–30 seconds, then repeat stretch with other leg.